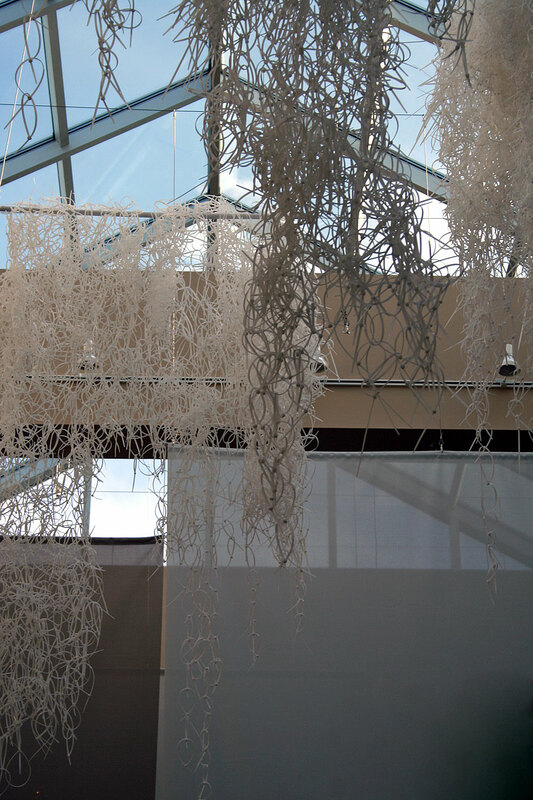 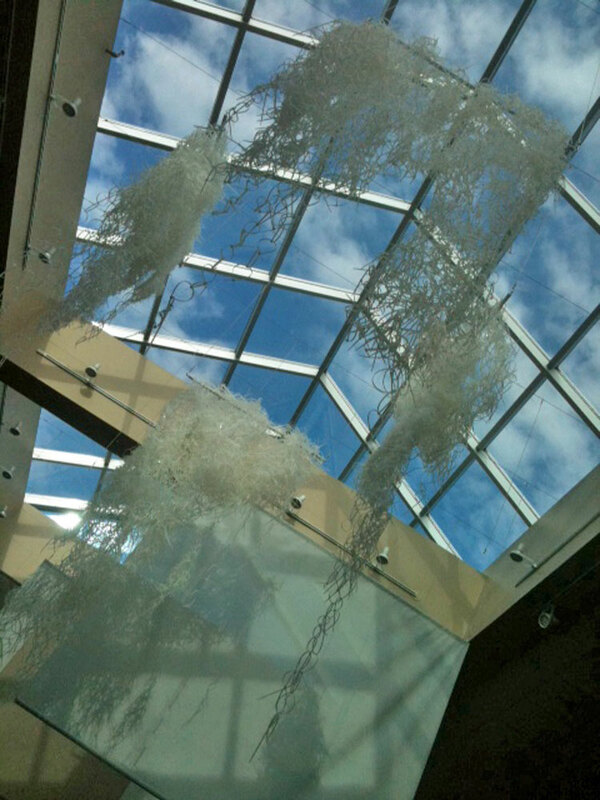 This suspended installation was selected to be included in Sculpture Visions, a year long public art exhibition in Chapel Hill, North Carolina featuring works by artists from North Carolina and around the country. 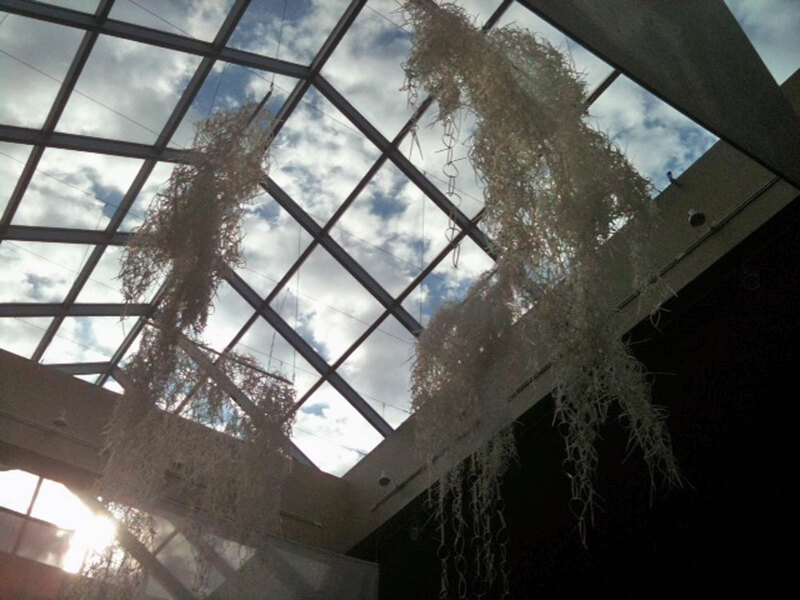 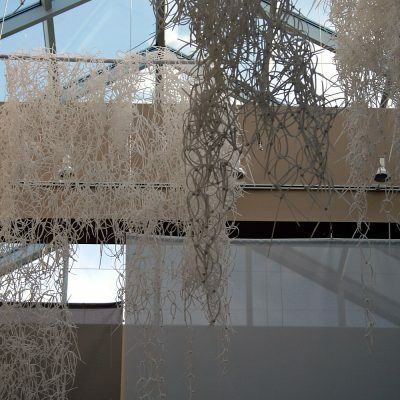 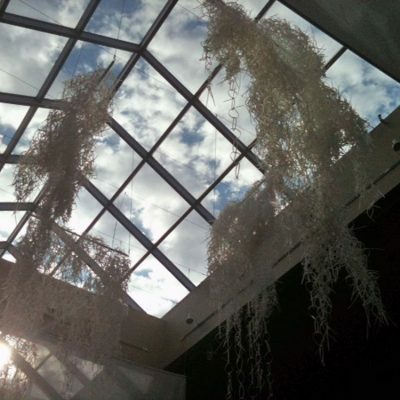 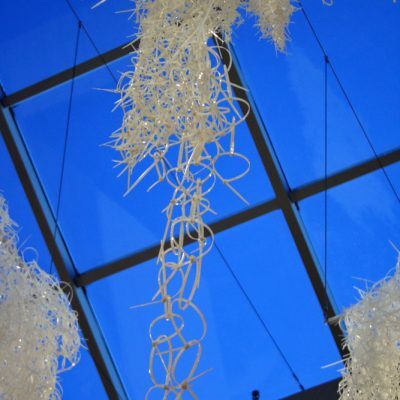 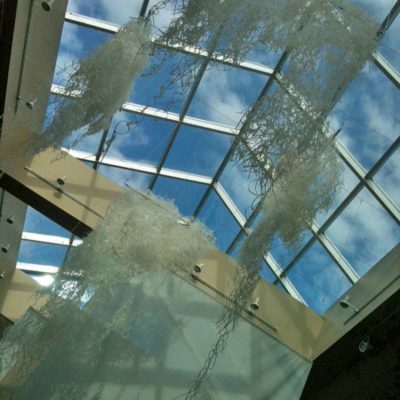 The artworks were exhibited throughout the city, and Bales’ work was installed under the skylight in the central area of University Mall. 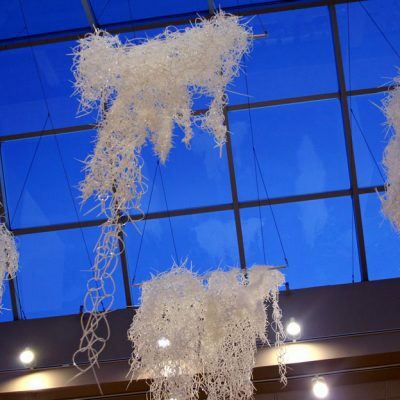 The piece is a variation of artwork installed as part of artstop Project Spaces in Des Moines, Iowa, 2011 and Veil in Fairfield, Iowa in 2013. 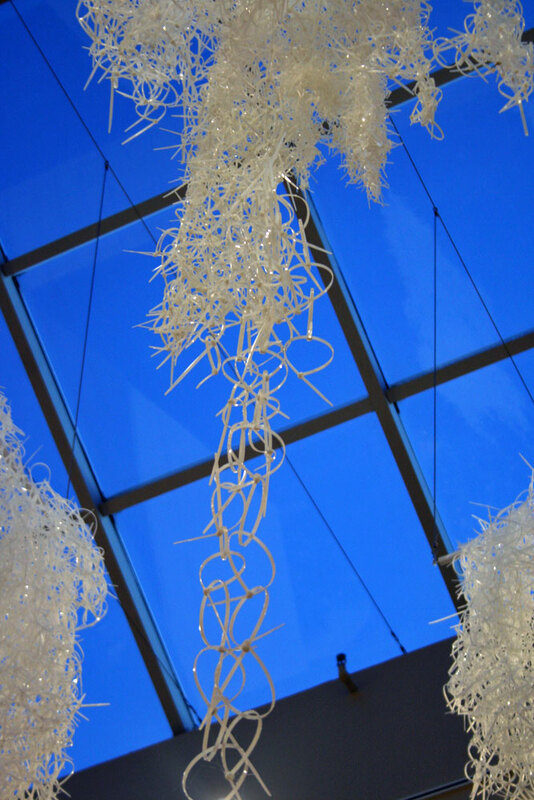 Dimensions of each of the four suspended elements are approximately 8’h x 4’w. 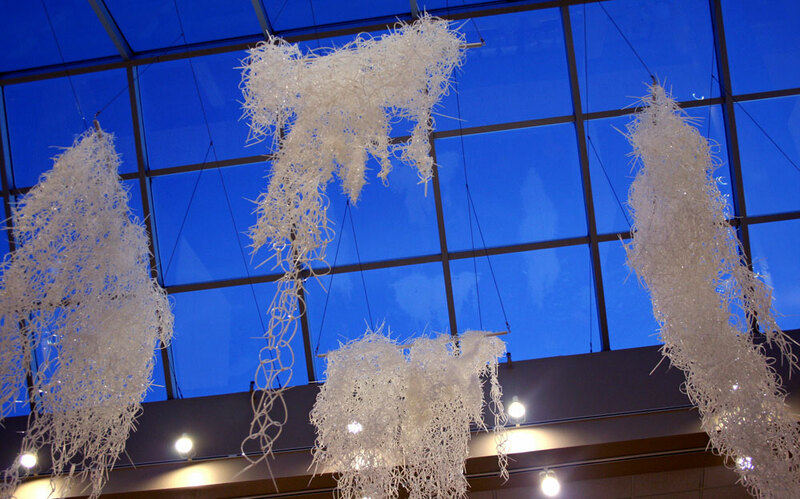 The elements are constructed entirely from cable ties.